Though they've previously only released one full-length album (reviewed here) and an EP, Ogenix are no newcomers to the Montreal underground. 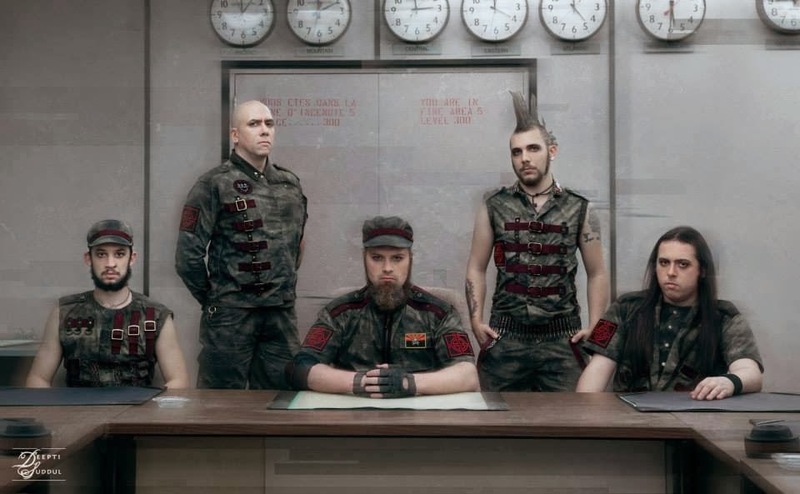 Persevering through various line-up changes over a wide span of years, the current Ogenix line-up are back with another set of political themed, aggressive industrial metal tracks. Enter the band's newest single, Robotic Pestilence. It's no surprise that the title track, "Robotic Pestilence", is the highlight of this album. It would almost be situated better further down the track listing, as every song that comes after it pales in comparison to it's ear-catching industrial compositions. The abrupt rests, short static blips and crunchy guitar riffs, catchy chorus and unique industrialized drum pattern etch 'instant classic' all over this track; without a doubt, the audience will find this track enjoyable for countless listens to come and may even end up craving high doses of it in the near future. While "Atheist Song" is an enjoyable track that's a reminder of the often overlooked "Heresy" by Nine Inch Nails, the track is exceedingly short; a feature which may lead the song to the same overlooked fate. "Suicide TV" is the third and last new song available within this content, and it comes with a dark obscurity that's straight from Marilyn Manson (and the Spooky Kids) era, though with more aggression and plenty of double bass kicks to spare. The guitars here are faster as opposed to "Robotic Pestilence", however even with this track's compelling chorus and riffs it still falls short of the title song. The leftover material on this album are the three remixes, "Fire (Remixed by Gabriel Duceppe)", it's instrumental counterpart and "Decay (Utopica Remix)" which is apparently only available on the physical USB release. The former is a dance/house/trance style remix that would excel in finding it's way onto a local club's playlist. The remix adds an upbeat spin to the track that takes away any aggression that it may have had on the self-titled Ogenix LP, and is actually a compelling spin on an old fan favorite; however, this style may not be welcomed by most industrial enthusiasts, especially those who enjoy the darker side of the genre. That's where "Decay (Utopica Remix)" comes in, which is a slower remix that adds twists to the darkness of the original track. 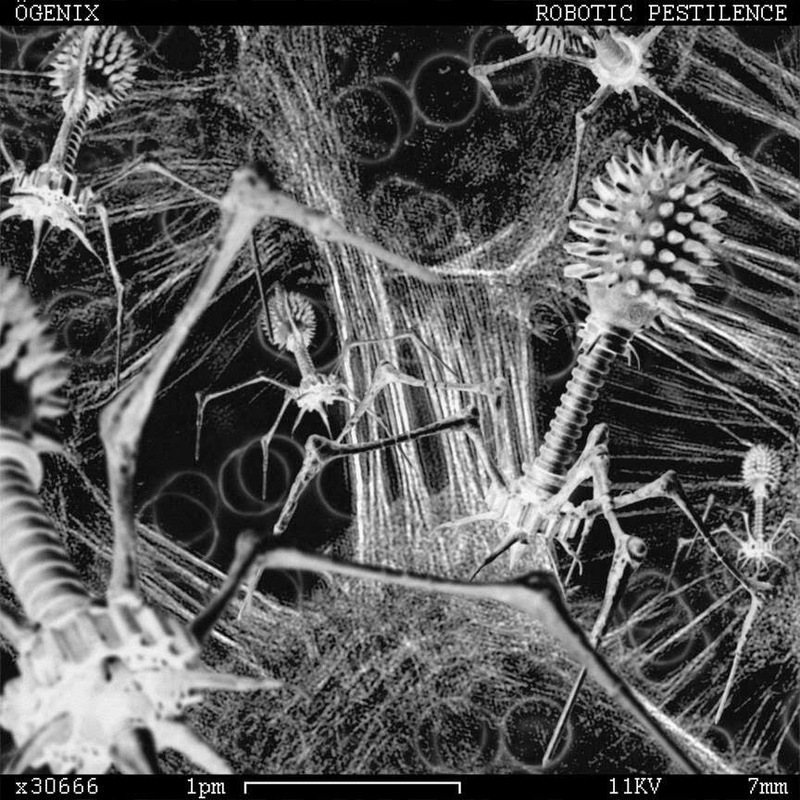 Despite any initial reactions to the three remixes on the track listing, Robotic Pestilence is more than a worthwhile listen for fans of industrial metal; for "Robotic Pestilence" and "Suicide TV" alone. Ogenix have given their best during these two tracks to ensure perverted audible pleasure for the audience, while throwing in "Atheist Song" as a fun little anthem that's over entirely too quick. The remix tracks will be hit or miss with most people, given their individual taste and acceptance of remix tracks; however the songs are redone well and are worth a few plays each.